Do My Brakes Need Servicing? Brakes are the most important safety feature on your vehicle. You want to keep up with them on a regular basis, so that you are always prepared for what the road ahead may hold. The braking system is composed of several different components, all of which will likely need your attention at some point. When and what will need to be done will depend on several factors. 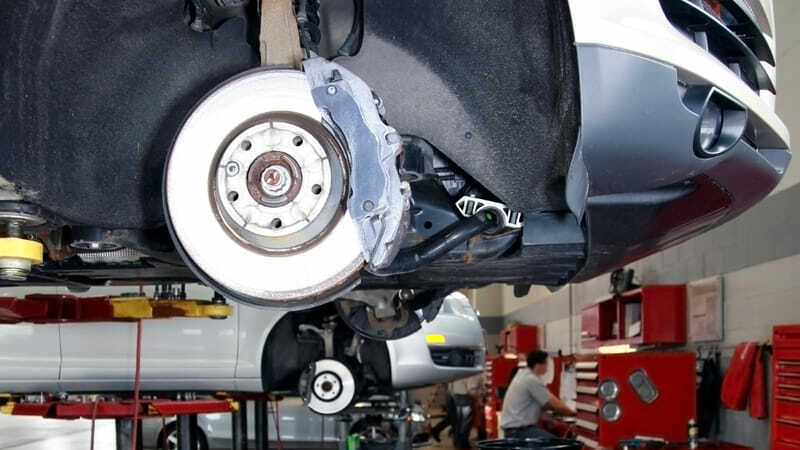 We are here to break down the basics behind your braking system and how to ensure your safety. Your brake pads will wear down over time, and they are designed to do so. Every time you stop, the braking material is being worn down to create friction to stop the vehicle. Over time, the pads start to get thin, and you must replace them with new ones. 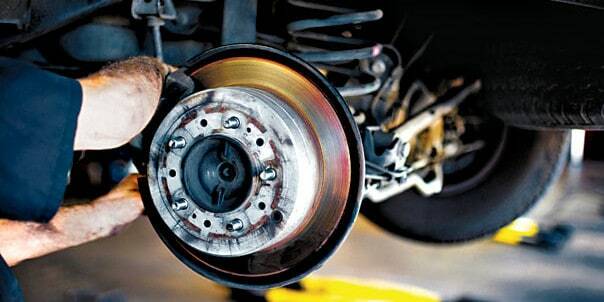 Brake rotors are what the brake pads push against when you step on the pedal. The rotors are mounted onto the vehicle, and they are what stop the wheels from turning. After a set of pads has worn down, the rotors need to be inspected for any signs of damage. Rotors should be perfectly flat, so that the pads press against them evenly. Rotors can become engraved and even warped due to heat and overuse. If the rotors are thick enough, they can be shaved down flat again. Otherwise they have to be replaced. The brake pads move back and forth against the brake rotors, and they do so with the guidance of the brake calipers. The calipers are mounted in place, and they have to be able to move in and out with the application of hydraulic pressure. If the caliper guide pins are stuck, if the calipers are not mounted correctly, or if the hydraulic system isn’t applying pressure, the calipers will not move the brake pads. The brakes may stay applied, or they may not apply fully. Calipers may need to be adjusted, greased, or replaced if damaged. Brakes are part of a hydraulic system that is dependent on proper brake fluid levels and pressures. If the brake fluid gets dirty, has water or moisture introduced, or if there is a leak, hydraulic pressure is lost, and you lose brake function. Your brake fluid must be clean, at the right level, and the system must be completely sealed. If there are any issues with brake fluid, it needs to be resolved immediately. When it comes to maintaining your brakes, you will want to focus mainly on keeping track of your brake pads. Brake pads last anywhere from 30,000-70,000 miles depending on the type and quality of pads you choose. Know that your fluid must also be topped off and checked regularly, and that you will eventually want your calipers and rotors inspected. Preserving your brakes and getting the most lifespan out of them has more to do with how you drive than the maintenance that you do. Slow down, take your time coming to a stop, and try to avoid hard stops if possible.